HomeAll postsGeneralHow do you present yourself and your experience? 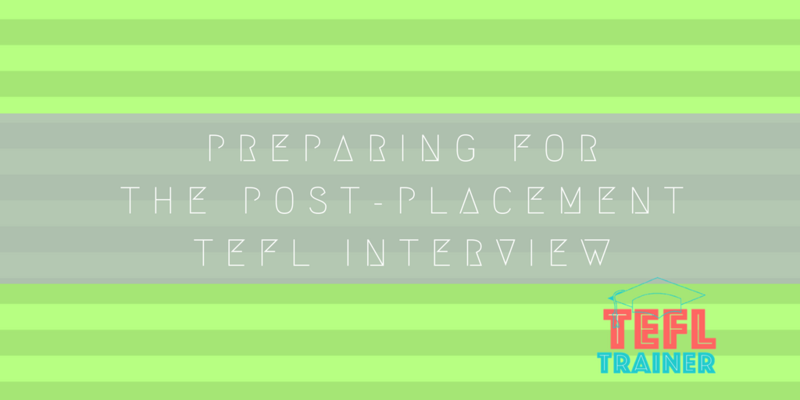 Whilst there is a high demand for TEFL teachers, it is also important to know how to stand out from other applicants when applying for TEFL jobs, post-placement. Your first impression will almost always be through your written communication. In this technological era, TEFL jobs are typically found and applied for online, either through LinkedIn or by sending a cover letter and CV by email. As a result, your language is your foot in the door for any job that you apply for. Employers must see an immaculate use of grammar and flawless spelling from their prospective teachers, and a well-researched application. An example that comes to mind, with regards to this, is some personal feedback I received from an unsuccessful application for a teaching role. Falling into the trap of over formality, I was informed via email that by starting my cover letter with “To whom it may concern”, I had communicated a lack of interest in the company and those that were a part of it. In my attempt to be respectful and professional, I had achieved the opposite. This was a valuable lesson that provided me with the necessary insight for future applications. Employers want enthusiasm in every part of an application, from the first letters of your cover letter to your interview. In the interview itself, how you present yourself physically is vital. You need to present the image of who they would be hiring to join their team. Therefore, you must dress as if you already have the job; wear what you would on your first day of work. With TEFL jobs, this attire is usually more conservative and should convey complete professionalism. This note is applicable to all forms of interviews, including Skype and even phone calls. For my own phone interview for my TEFL placement, I ensured I was dressed formally and stood upright the entire time. This combatted the relaxed atmosphere of my bedroom, where I took the phone call, and put me in a formal, professional mindset. A final point, that should go without saying, is to be prepared to talk about your experiences as a teacher. Take some time to brainstorm situations, both positive and negative, or even unusual, that you have encountered and dealt with in your classes with students. Your prospective employer has not seen you teach, and so it is down to you to provide a clear image of your approach. Moreover, your memory of these encounters will communicate an investment and passion for TEFL. It will demonstrate that the students you teach are not simply the means to a monthly pay-check, but individuals you are dedicated to helping achieve their goals. This enthusiasm and passion will be what separates you from other applicants.